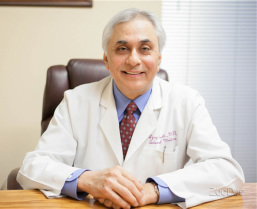 Dr. Sobti has been practicing Internal Medicine in Arlington, Texas since 1985. He has an interest in Preventive Cardiology. His practice has the advantage of modern, up-to-date training coupled with in-office diagnostic tools and laboratory tests. That enables patients to have quick and comprehensive one stop evaluations of their symptoms and saves them cumbersome referals and time.